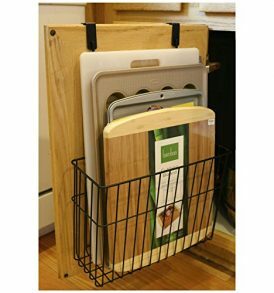 Create Loads of Additional Storage in a Kitchen with Limited Space. Store kitchen products, food, cleaning supplies and more. 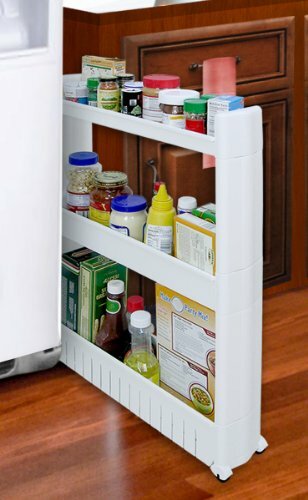 Slim pullout 3-tier cupboard on wheels. Fits perfectly between fridge and counter. Casters make it glide effortlessly for easy access. Also use in bathroom, laundry room, garage and more. 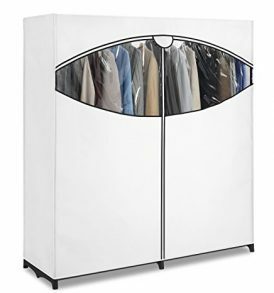 Keep items organized and at your fingertips.